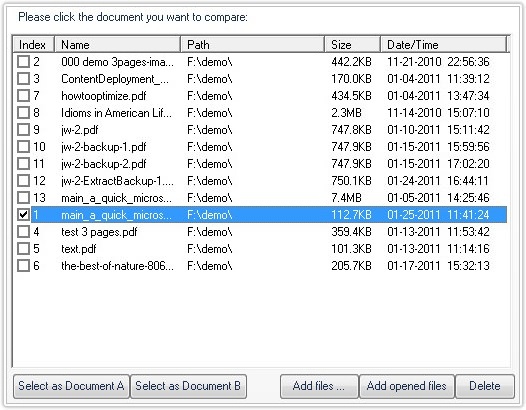 PDFCool Studio allows the user to compare the document properties and the page properties between two PDF documents easily. 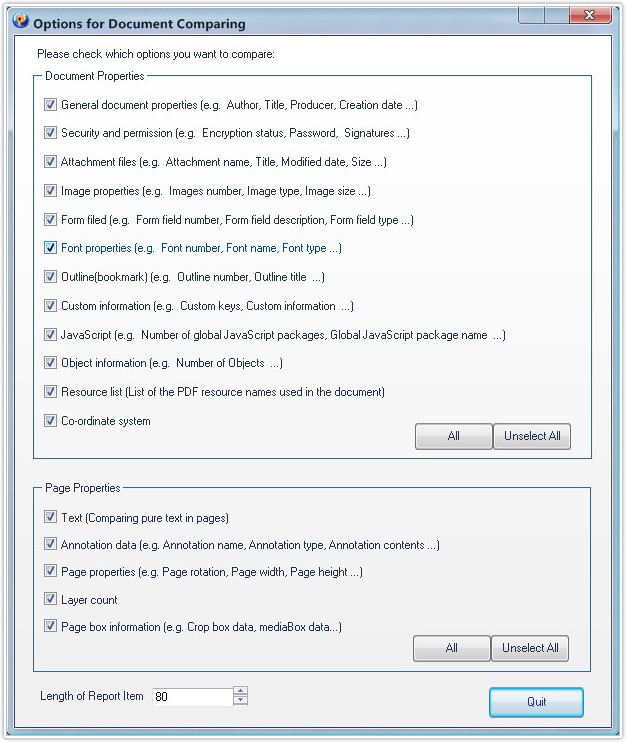 You can choose to compare all or portions of the properties, and the compare result will generate to a txt document report. 5. Click on the Compare button. 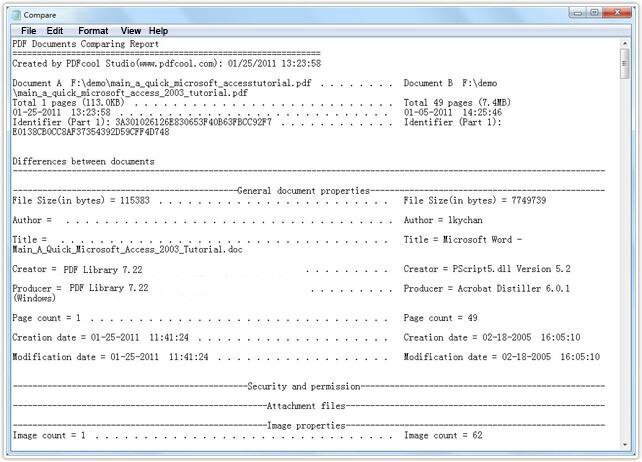 The generated document is txt format. In the document, left side is document A, and the right side is document B. The same contents will not be listed in report.